Photography is all about creating images. Whether you choose to take conventional landscapes, macro images, portraits or even create images using torch light there is certainly some element of image making which will appeal to everyone. You don't need the most expensive camera equipment to enjoy this fascinating hobby and in many ways the simpler cameras allow you to concentrate entirely on the image creation rather than spending a considerable amount of time reckoning with the camera controls and menus of more complicated cameras. I would like to share my passion for image making and try to pass on any hints, tips and knowledge to anyone who cares to stop by and read or watch. If I mention a particular make or model it doesn't mean I have been sponsored by the manufacturer to say so, it's because I felt is worthwhile because of some feature that may be of interest to other users. The process of creating a beautiful image is both an art and a science. Art because we need to comprehend a basic set of rules which will make our images stand out and offer more viewing pleasure and Science because we need to understand some principal factors which influence the exposures captured by the camera. Please feel free to ask questions and for a response please use the Contacts section - your reply will come direct from my email, you will not see a response here. 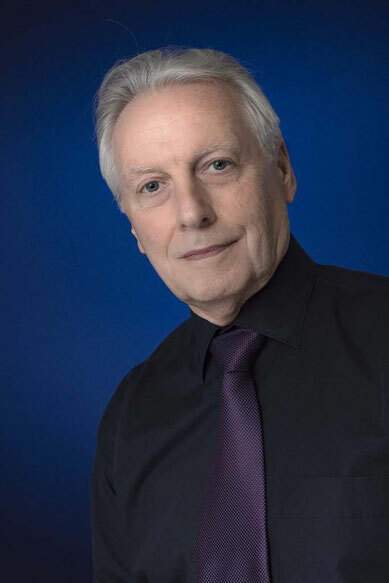 Having spent many years working in the imaging technology industry and taking pictures, trying to improve my skills and knowledge, I thought it would be enjoyable to exchange opinions and experiences with other photography enthusiasts. In this blog my aim is to talk about digital cameras their technology and quality objectives an also software for digital processing. I'm not affiliated with any company or manufacturer so all the reviews are totally unbiased. I've made some bad purchasing decisions along the way and hopefully I can help you avoid the same mistakes. I'm not a professional photographer, I don't earn my living though photography but I do love being out and about learning by doing and then passing on those experiences to anyone who will listen. I would also like to showcase some of mine and your images, offer some shooting techniques and everything that may be of interest to a passionate photographer. The black and white edition has the same title but will have (B&W) in it to differentiate it. 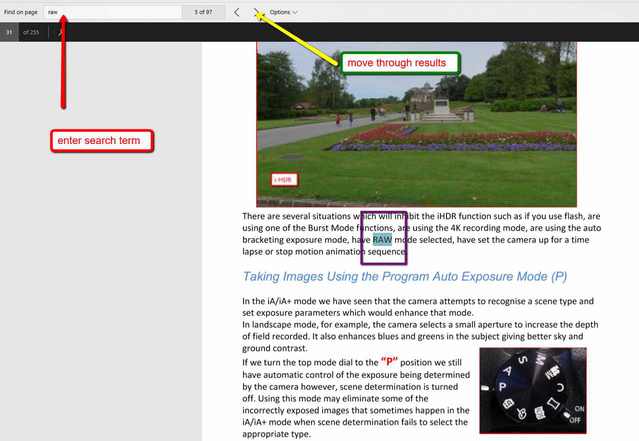 With the PDF version you can use the full power of the search engine to find any word or phrase within the book. When it is release there will be again a choice of the colour version as well as the black and white title. Again I am disappointed to see the production costs for the colour version. From the basic print price and then adding on the Amazon mark up puts the cost of the book into a price point where I cannot justify adding my own earning from the book. Having just received the final proof edition of the book I cannot really justify recommending the colour version over the black and white as the paper used does not render the colour images with the subtle tones which are needed in some photo illustrations. For graphics this would be fine but really it needs semi-gloss paper for the detailed images. The B&W version is good enough for the detail and then if you need clarification the PDF version would allow you to view the topic. The PDF also has the extensive search facility where the hard copy does not have an index. With each purchase you will get the full colour PDF of the book and this does give the required quality for screen reading on a variety of devices from tablet to PC screen. 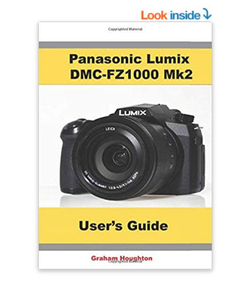 Alternatively I have released the full colour PDF file ahead of the Amazon hard copy release and unless you specifically want hard copy then this is my recommendation for this guidebook. 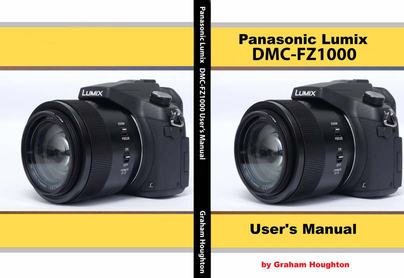 If you downloaded my free e-book for the FZ200 or the new series for beginners guide to the FZ300/330 and found it useful, or would like to help me continue to develop this "blog", please think of just a small contribution (such as £2, $5), as this will help support the upkeep of this site and enable me to bring you more technical reviews etc. Looking for something on Amazon UK or Amazon USA or Amazon Canada - please use these links. Just click the box, relevant to your region, which then takes you to the site. Use the search bar as usual to find your item(s). It won't cost you anything to use but any referrals will help to support the running this site, thank you.